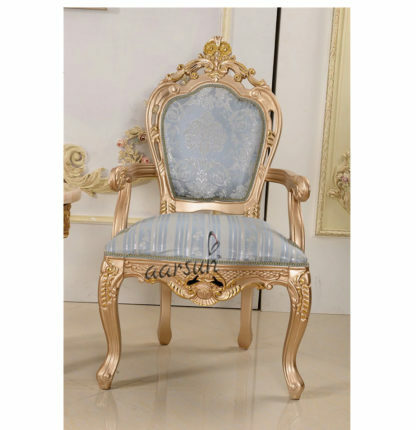 Aarsun woods brings to you traditional handcrafted arm chair. Our wooden arm chair is manufactured by skilled craftsmen from Saharanpur. This is a one of a kind addition to your decor. It is truly a modern design. The wooden arm chair provides elegantly comfortable seating while you are working. This beautiful chair is an especially fascinating of furniture that is perfect for any home. The wooden chair is consist of floral and leaf carving.